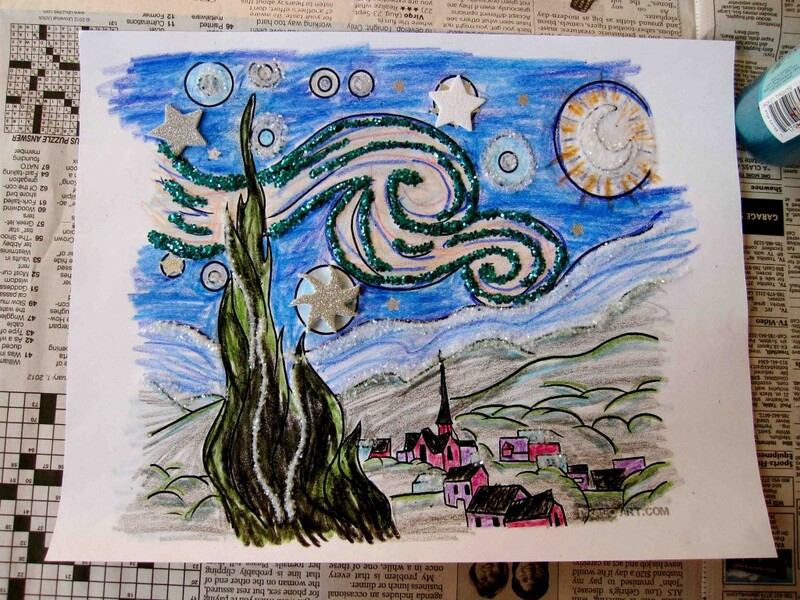 The plan for yesterday’s Sunday Storytime was to do a theme about outerspace and to then make an outerspace starscape for the craft, but the Saturday before a patron suggested doing something with Vincent Van Gogh’s The Starry Night. Great idea! 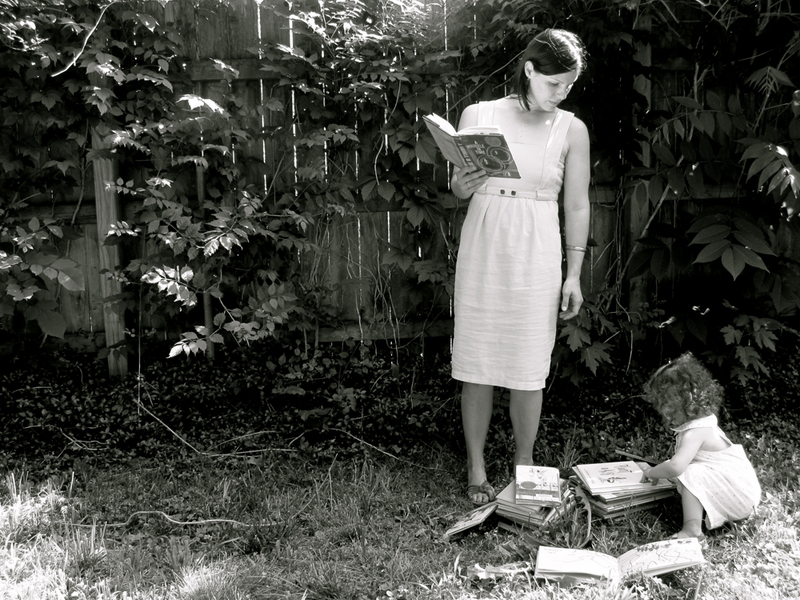 So, I ditched the books about space and selected books about stars, nighttime, and the moon. 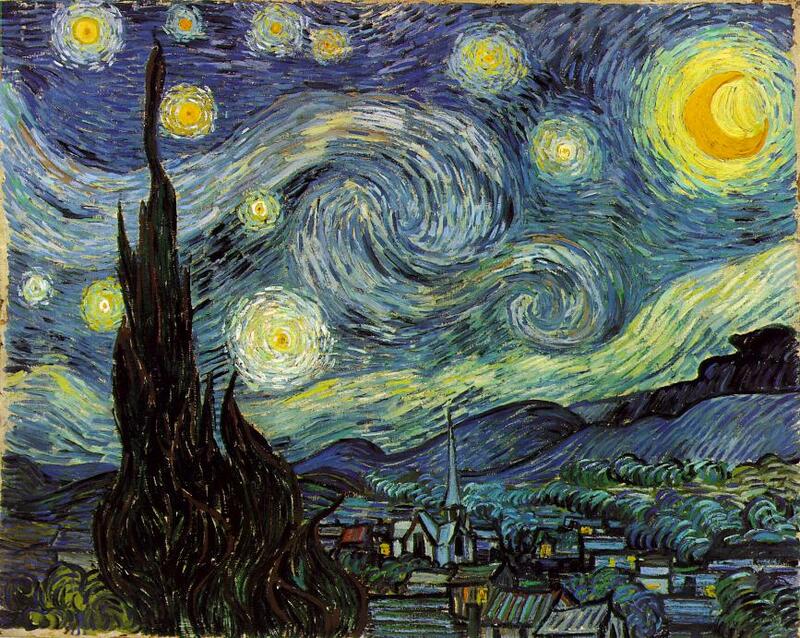 Scanned through Van Gogh books that might be a good read for storytime, but ended up adapting something more storytime appropriate. After working five minutes here and five minutes there, I was able to piece together Sunday’s Storytime despite the very busy weekend. Oh, and I figured out a craft a few hours before the show. I don’t like doing things last minute, but it all came together in the end. 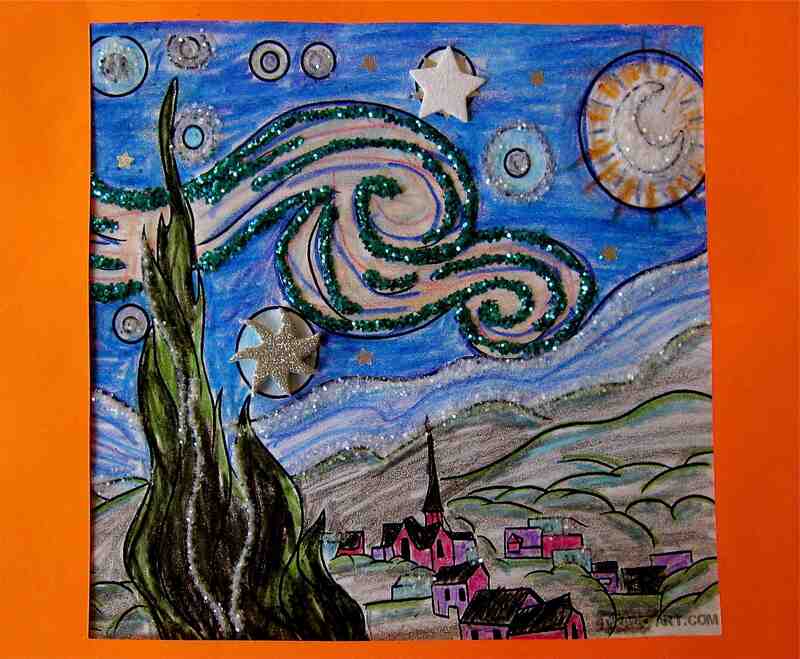 Whew..
Everything about this book is terrific and appeling to kids of all ages. 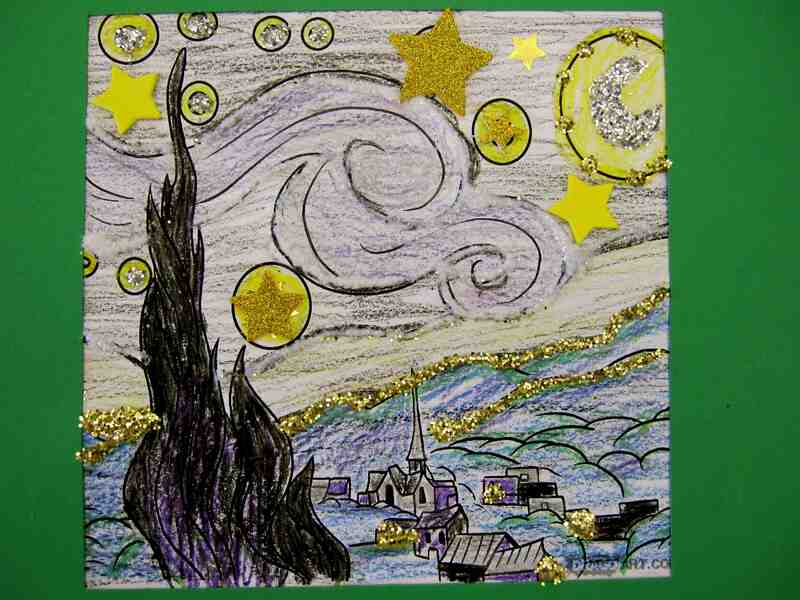 It was much talked about for this years Caldecott too! 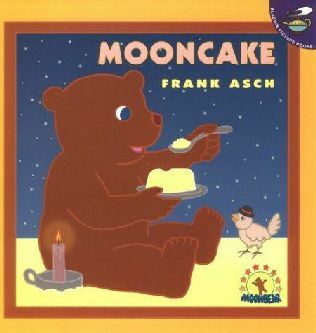 I was read this book when I was a little girl. A funny story about one bear’s trip to the moon. 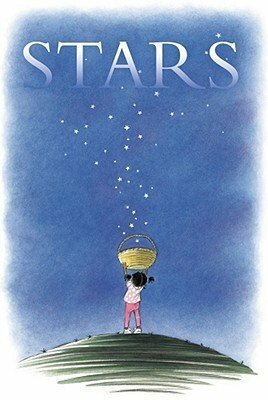 There are multiple versions of “Twinkle, Twinkle, Little Star” to choose from, but this version is a tried and true book used by the other children librarians, and I also picked it because the poem is very sweet. I think it’s safe to say that all kids like Eric Carle. 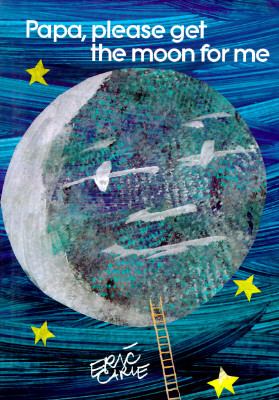 A colorful book about the phases of the moon and how one proud papa would go to the moon for his little girl. This book is especially good for storytime because it has large flaps and a very large foldout of a full moon. 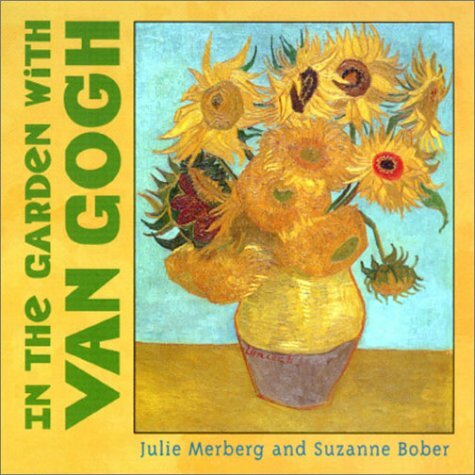 Poem by Julie Merberg and Suzanne Bober, set to paintings by Vincent Van Gogh, adapted from the book In the Garden with Van Gogh. 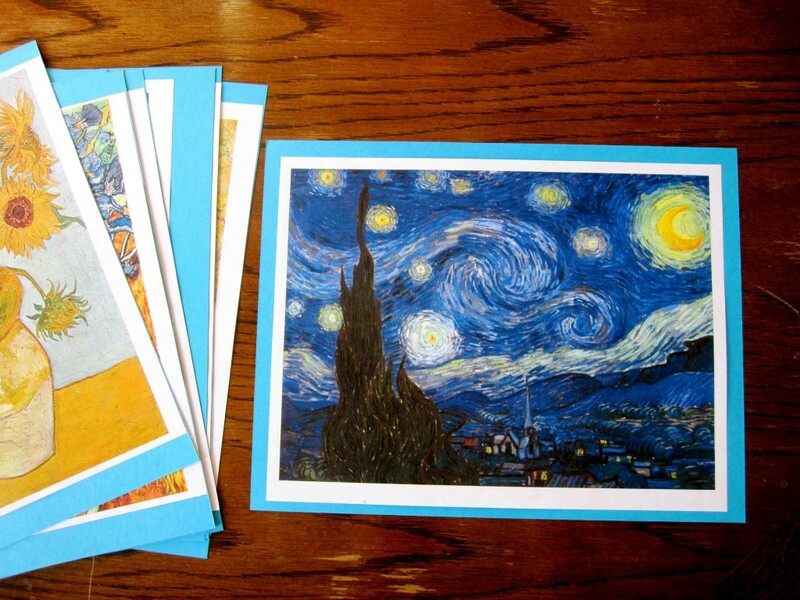 I googled all the images from In the Garden with Van Gogh, printed them all out on 8×11 paper, and glued them to cardstock. 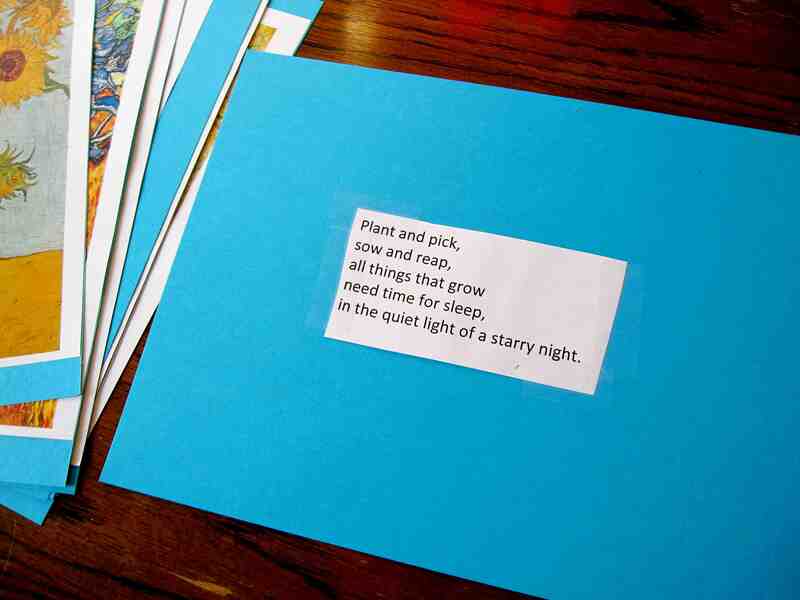 Then I typed up the poem, printed it out, and pasted the corresponding verses to the back of each picture. For storytime, after double-checking they were all in the right order, I held up a picture for all to see and read the verse on the back as the kids viewed the painting. It was a hit. 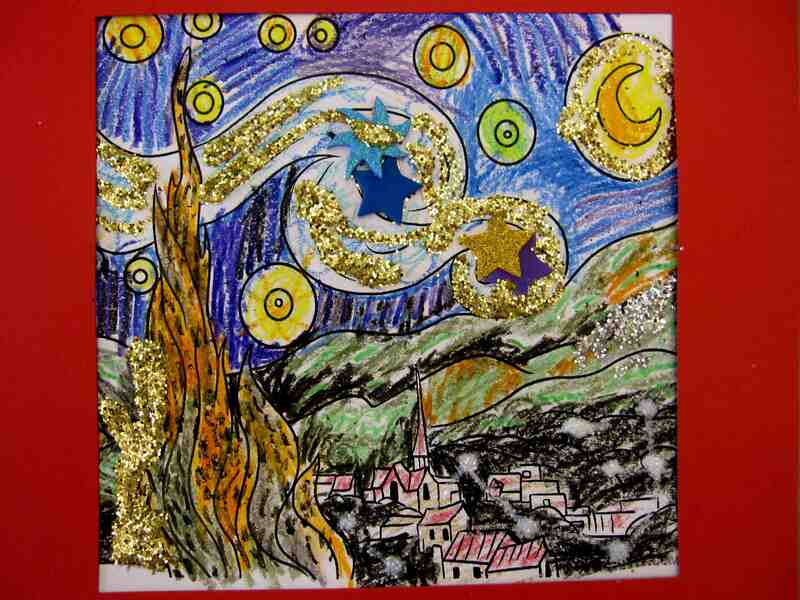 The book ends with The Starry Night, which was also a perfect transition into our craft. If you haven’t checked out the Mini Masters board books by Julie Merberg and Suzanne Bober, I highly recommend them. 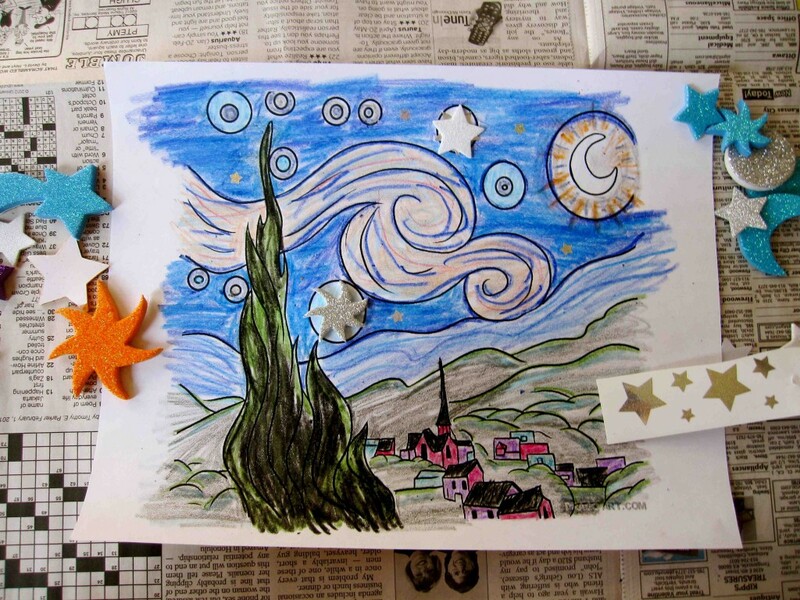 For our starry night craft, everyone made their own rendition of Van Gogh’s whimsical, Starry Night. It was the least complicated and personal favorite yet of this year. 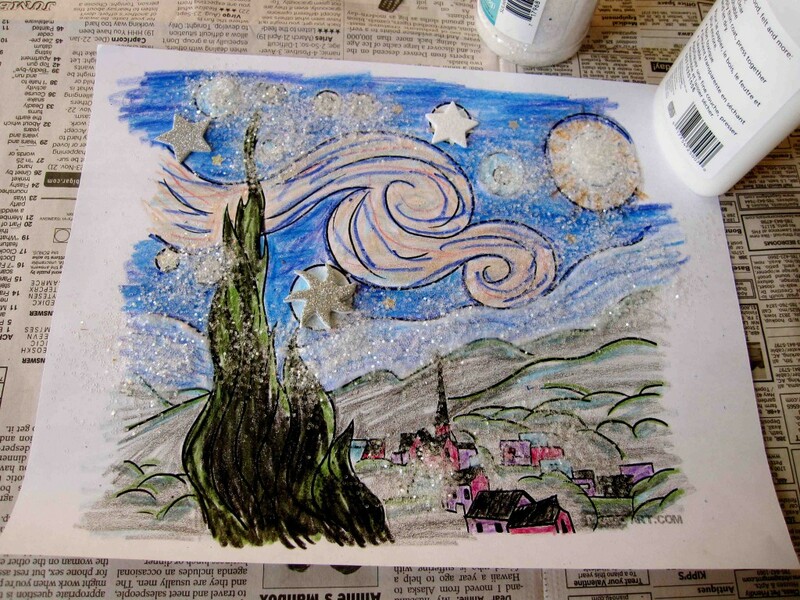 Make sure you have newspaper or a tablecoth down, because this one can get messy and glitteriffic. Start by coloring with crayons. 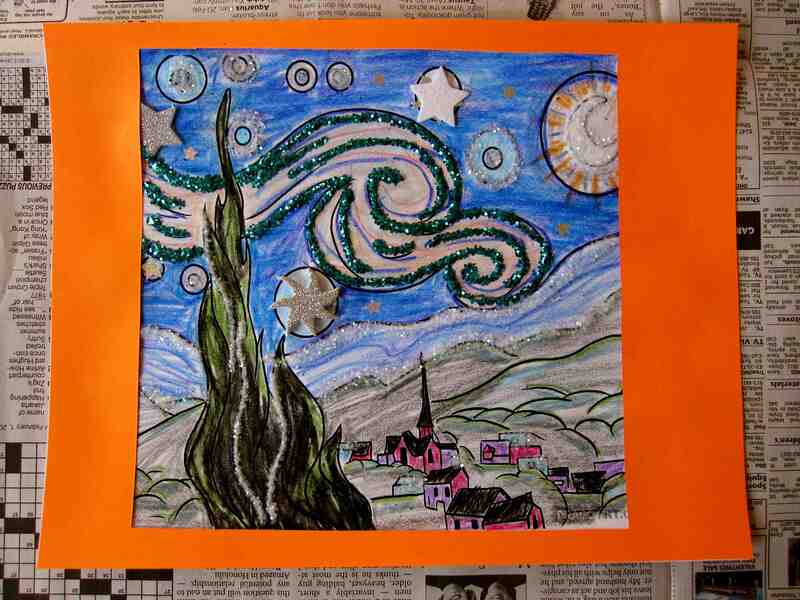 I had a large picture of The Starry Night hanging up for kids to look at, but I encouraged them to make it their own and with their own favorite colors. 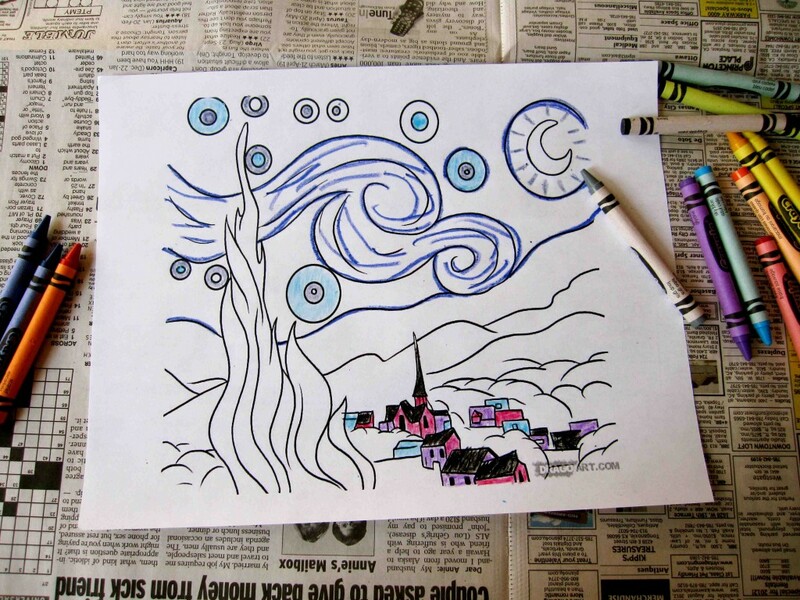 Why not make a red sky? Or purple stars? Plaster some stickers where you see fit. We used sticker sheets of stars that I pre-cut into individual stars and foam stickers. 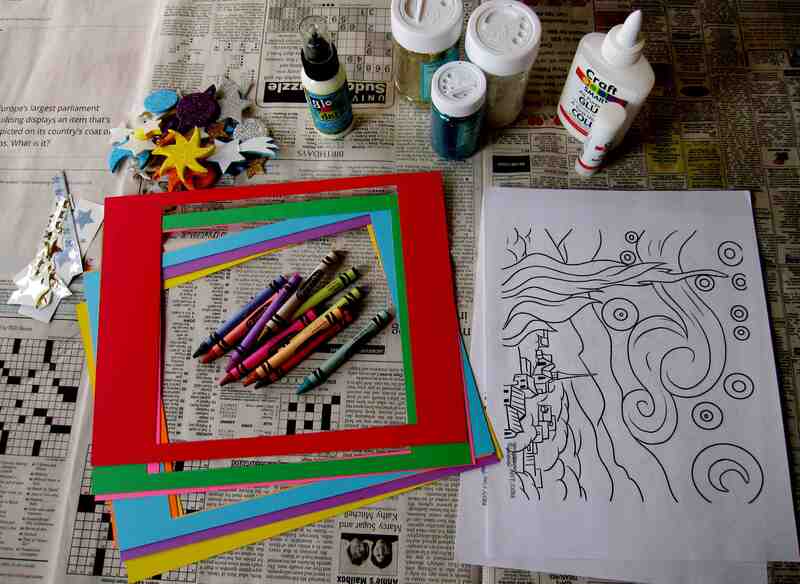 Using glue, outline or fill in spaces that you’d like to add some shine too. Then sprinkle some stardust aka glitter. We used gold, silver, blue, and translucent glitter most of which was left over from December’s storytime crafts. Shake off all excess glitter. 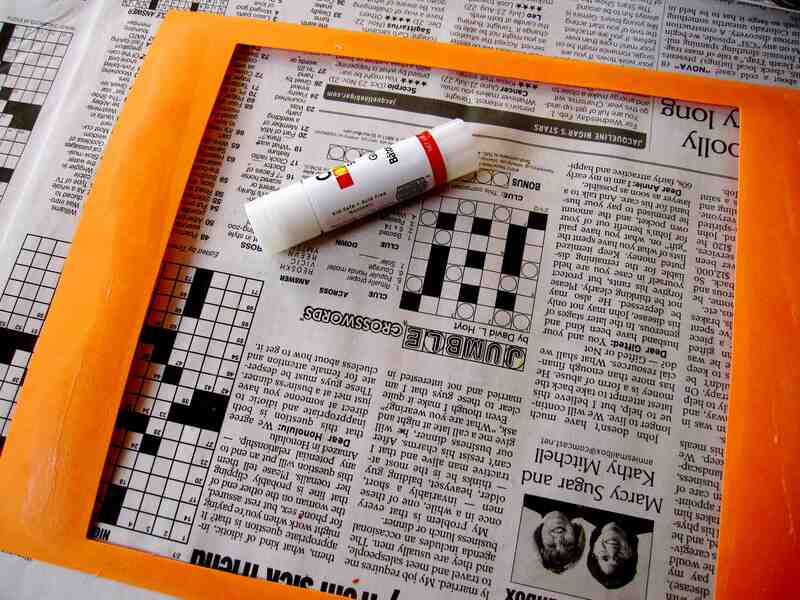 Glue entire back of the cardstock frame with a glue stick. Apply frame to picture glue-side down. 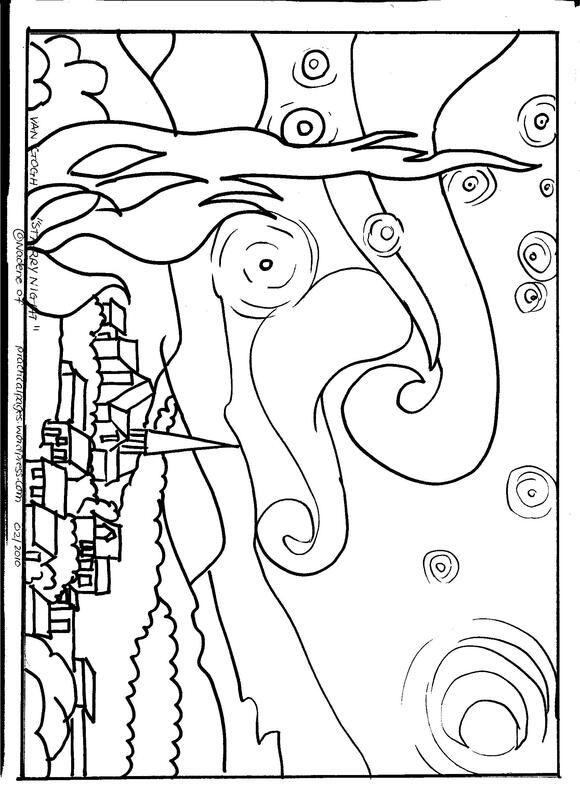 This one above I put together right before storytime as an example for the kids. This one with the red frame is another example made by a co-worker. I like his version best, so I thought I’d share it with you too. 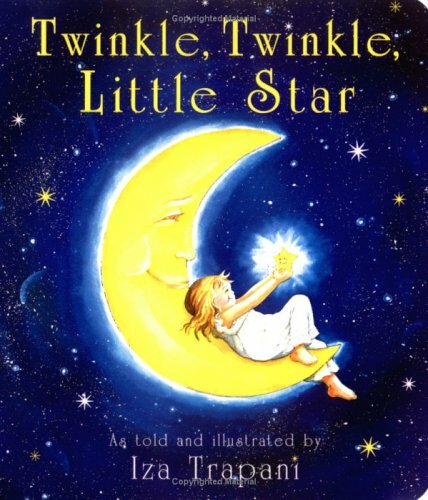 Just got Twinkle, Twinkle from our library. Girls have been enjoying it most nights. Glad the girls like it! I had a tough time deciding between that version and the the Jerry Pinkney version. Both are stellar. I too am a HUGE fan of literacy and promoting awareness even in young children of many great works, both literary and artistic…though aren’t they one and the same!? 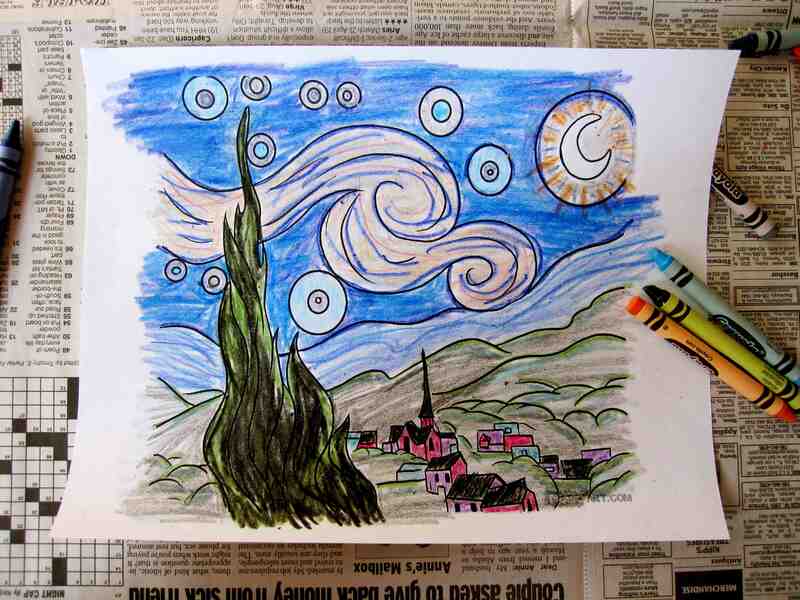 Anyway, I would like to do the Van Gogh Starry Night activity with my class but cannot access the template Dragoart.com. Please advise! 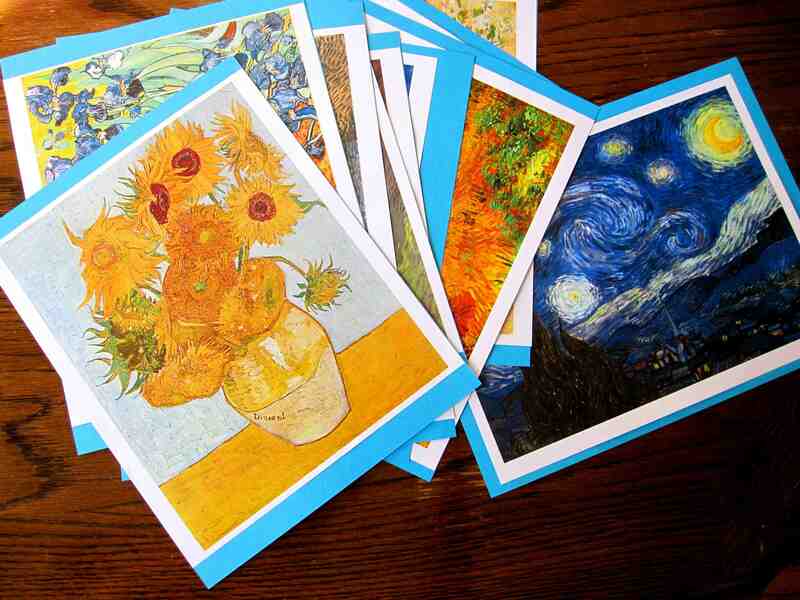 I used Van Gogh’s Sunflowers last year for part of our gardening unit and it was a HUGE success. I recently discovered Merberg & Sober’s collection of board books that introduce 8 great Masters to children along with kid-level verse–beautiful! Hey Karen– Thank you so much for your kind words! I thoroughly enjoy incorporating art education any way I can and I’m so glad to hear you do the same. Aren’t those board books the best? 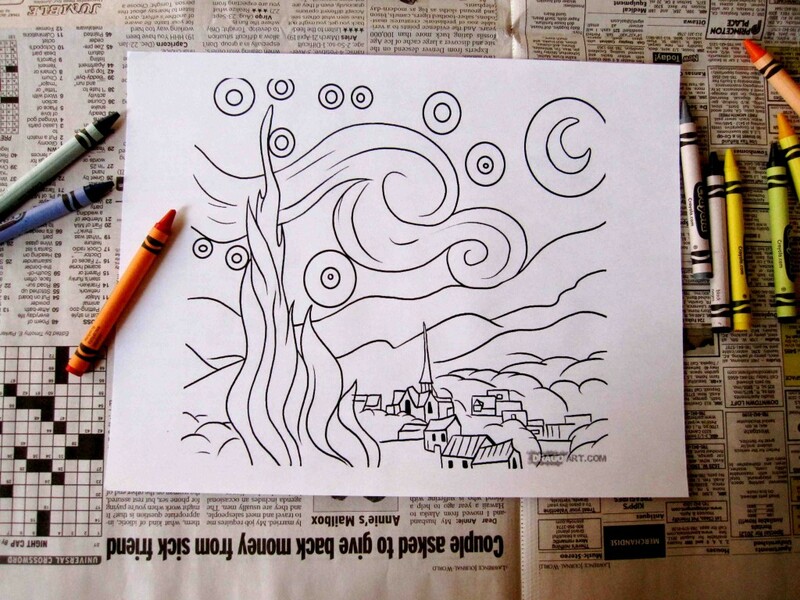 You can copy the image and paste it in a word or publisher document, size it, and print it from there. If you need further help, I’d be happy to email you a copy.